Supermarkets that are near the airport or at railway stations however, are open daily (even on Sundays!) from 6 AM to 10 PM. Be aware that there are significant price differences between different supermarkets. 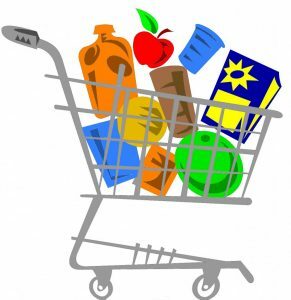 In the beginning it would be best to stop by various supermarkets surrounding you to find the supermarket with the best price-performance ratio for you. Usually, discount supermarkets have the cheapest offers. Apart from that, every supermarket runs special offers regularly where you can get 25-50% off on selected items. Snacks, for example, are often discounted like this. Merkur – One of the biggest, cleanest and best-stocked supermarkets with top-quality food. It is therefore a little bit more expensive. Merkur is not as frequently found as the other supermarkets. Billa – Owned by the same company as Merkur, but a lot easier to spot. It is probably the most common supermarket in Vienna. Usually you will get good value for your money here, but there is some variety between the stores in different locations, as some of the older stores could do well with a refurbishment. Getting a fidelity card will definitely pay off! Note that they also have an online store. Spar – You will come across three types of Spar in Vienna, varying in size: “Interspar” is the largest, followed by “Eurospar” and “Spar” is the smallest. Additionally, there’s “Gourmet Spar”, which presents its upmarket products in a nicer way. 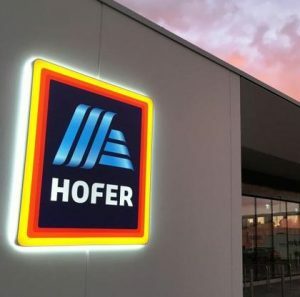 Hofer – owned by Germany’s Aldi and similar in style. Cheaper, but usually the shops are smaller in size and not as well stocked to cut the prices. They mainly sell their own versions of established brands, but these products are generally also of good quality. Lidl – the main competitor of Hofer. Similarly, they have a smaller product range and a no-frills approach of displaying their products. In contrast to Hofer, there are usually more branded items. Penny – another German discount supermarket, owned by REWE group. It is very similar to the previous two, but it additionally has an online store! If you are not from Europe, it might be useful to have a look at the list below. Shopping habits in Vienna might differ from what you’re used to! We like to recycle! If you don’t have a shopping bag with you, you can always buy one for a small fee. However, we recommend you to bring your own! You are required to bag the groceries yourself. Store clerks will not do that for you. If you purchase fruit or vegetables, you usually have to bag them and weigh them before going to the cashier. The scale is usually placed right next to the products. You have to select the right code, print the sticker and put it on your bag. Be aware that a lot of the smaller supermarkets exclusively sell food and drinks, so no (or only a very small range of) toiletries, cleaning supplies or first-aid items like bandages and aspirins. In the bigger ones you can usually find household goods, next to food and drinks. If you still cannot find what you need, you should probably go to a drugstore like BIPA or DM. For medicines however, you always need to go to the pharmacy (DM and BIPA have a wide range of vitamins though). Often you will need change (50 cents/€1/€2) to access a cart. Don’t forget to take your money out again when you put the cart back where it belongs! Your American/international credit card might not work, because they don’t have the right chip, so make sure that you have some money or an Austrian card with you.